Brokk, the world leading manufacturer of remote controlled demolition machines, has partly acquired the Swedish company Aquajet Systems, the world’s leading manufacturer of hydrodemolition machines. Aquajet Systems is known as the industry leader in hydrodemolition machines and solutions, both in terms of quality and volume. The company is based in Holsbybrunn in south Sweden, where it has its headquarters and production. Similar to Brokk, it has a global footprint for the sales of its equipment. “By becoming a part of the Brokk group, we can now accelerate the global growth of Aquajet”, says Roger Simonsson, Managing Director of Aquajet Systems. Brokk and Aquajet are a great match. The two companies are well-known to deliver the highest quality products, they are both leaders within their respective market segments, and both companies are well-established with customers worldwide. In the construction sector, the products of the two companies complement each other perfectly. 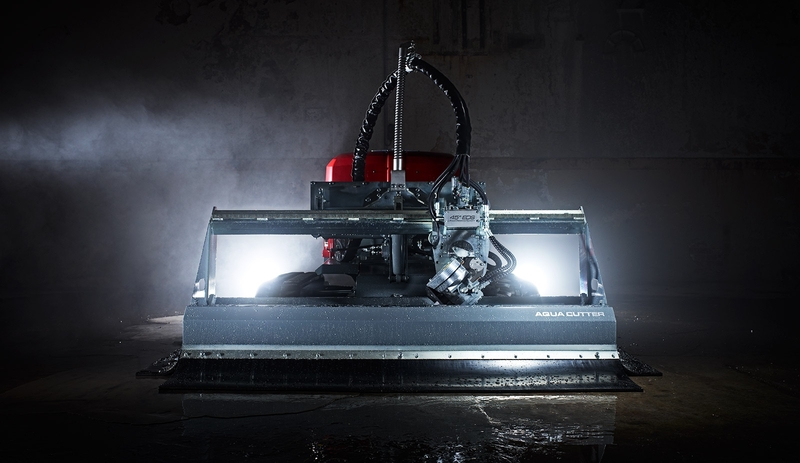 While Brokk machines are primarily used for demolishing concrete, Aquajet machines are primarily used for concrete renovation. Both companies have a long history of innovation and leadership in their respective fields. Aquajet Systems was founded in 1988, and Brokk celebrates its 40th anniversary this year. “With the acquisition of Aquajet Systems, the Brokk group further strengthens its leading position in providing world-leading machines for the concrete demolition and renovation businesses” says Martin Krupicka, CEO of Brokk Group. There are no organizational changes following the acquisition and the management of both companies will remain the same.